PA Marcos M. Quico reminds AEWs on good manners and right conduct in implementing the SOA program during the briefing on April 2, 2019. Commitments were assured during the recently held briefing on April 2, 2019 at the Office of the Provincial Agriculture based at Tandag City. 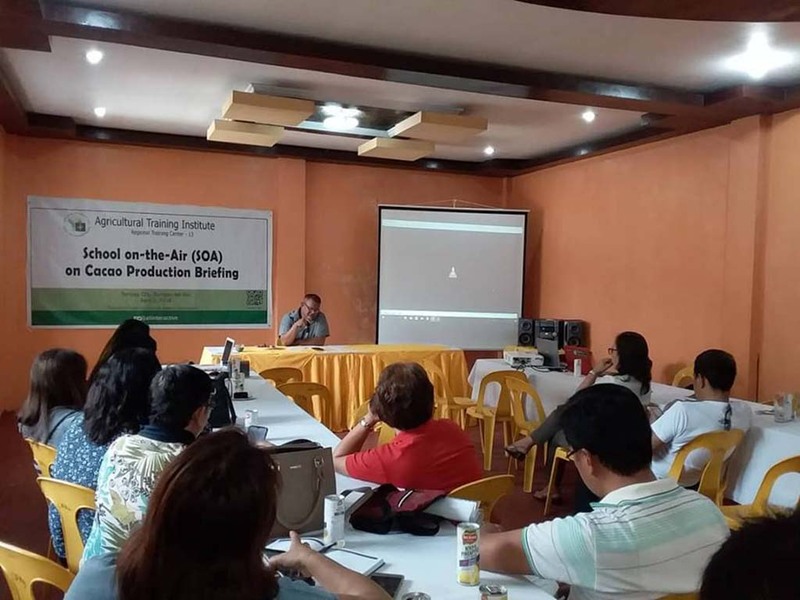 This was participated with the Municipal and City Agriculturists and Agricultural Extension Workers (AEWs) of the thirteen (13) participating municipalities and cities in the said province. Moreover, Ms. Ginalyn V. Arbutante, assigned focal person from ATI-Caraga presented the overview of the SOA program which will run for four months. Setting of targets and open forum highlights the said briefing. This was presided by Mr. Fil Victor A. Babanto, Chief of the Information Section of ATI-Caraga. Selection on the radio station to be used was among the discussions. “It is our challenge on how to open up the minds of the people in responding immediately, Agriculturist must learn about social science to understand people” Provincial Agriculturist Marcos M. Quico said during the program. He emphasized good manners and right conduct of the AEWs as implementers of the program. PA Quico added that the success of the program will depend on its promotion. The said SOA program is funded under the High Value Crops Development Program (HVCDP) of the Agricultural Training Institute-Regional Training Center (ATI-RTC) 13. This aims to intensify the promotion of Cacao Production in the province of Surigao del Sur through the use of radio. This will be participated with 500 farmers, AEWs, students and other stakeholders from the different municipalities and cities in Surigao del Sur. Launching of episodes will be heard on air starting May via DXBB, a pre-identified radio station in Tandag City. Further information about this program will be catched up soon.